If you’re a dog owner, hot weather inevitably leads to wet dogs, particularly if you live near the sea, a river, or basically any other body of water that looks appealing to your canine companion. 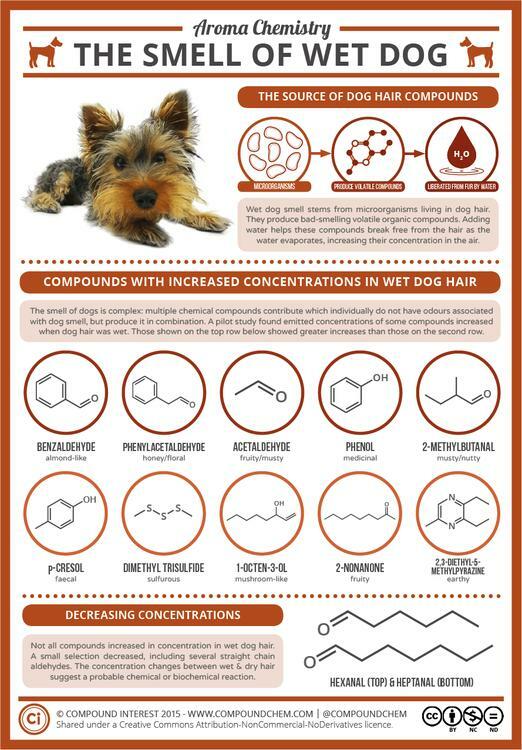 It’s probably not escaped your notice that dogs tend to smell pretty awful after getting wet. Why is that? Chemistry and biology combined can help explain. Let’s get the biology out of the way first. When you’re taking your dog for a walk, you’re actually taking a whole host of microorganisms for a stroll too. 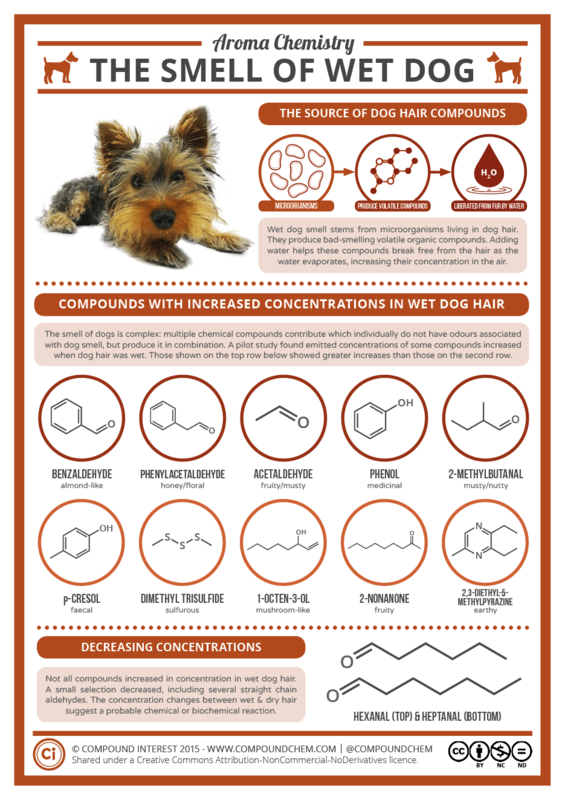 These bacteria and yeast dwell quite happily within your dog’s hair, doing whatever it is microorganisms do, and in the process producing a range of volatile organic compounds. This is the genesis of what will become the olfactory assault of wet dog smell.